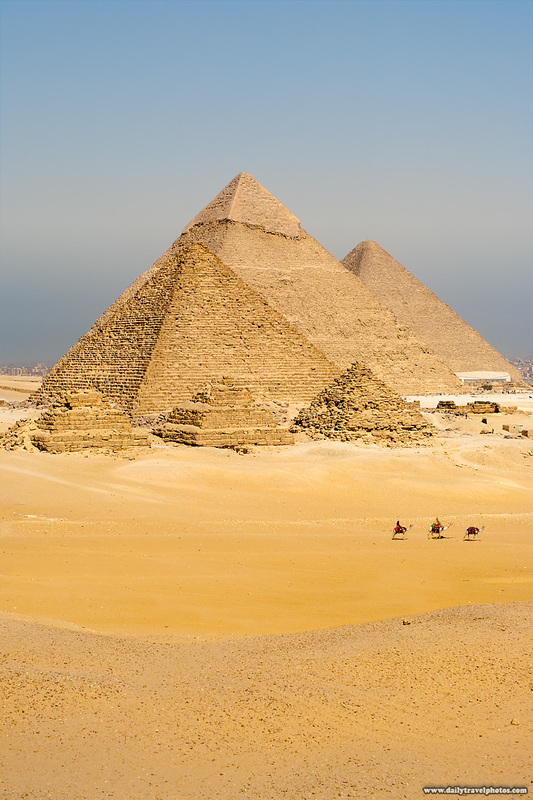 A caravan of tourist camels crosses the pyramids. The point from which this photo is taken is not the officially sanctioned "viewpoint" where tourist buses are led to take that "perfect" panorama of the pyramids. Instead it's a hellish slog up a sandy hill but ultimately worth the pains. 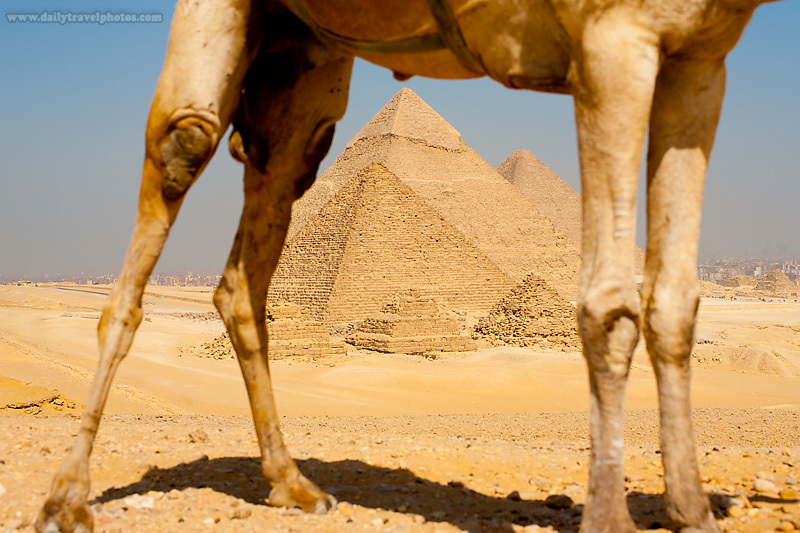 The pyramids are framed by a police camel's legs. Once you arrive at the top of this hill, you'll likely encounter an extremely friendly policeman and his camel, stationed here to prevent tourists from wandering further into the desert. He urged me to take a photo of his camel so I naturally obliged. Your site is really well put together from a navigation and functionality standpoint. I run a very similar daily travel photography blog but have much more boring lifestyle. On humorous note, I found your site hoping to find the domain name available since my current branding is inconsistent, uncommunicative, and hard to understand. You seem to have things under control with dailytravelphoto.com though and I'm sure there's another domain for me. Thanks, Andrew. I worked years at a small internet startup that was bought by CNET so I was fortunate to have hands-on experience for these things. Come by again when you have a chance! Surely will now that I'm onto you. The Recommended Photos section is exactly what I need on my site. Is that just XML or is RSS? My e-mail should come up on your admin panel with this post. If you have the inclination I'd be eager to hear more.